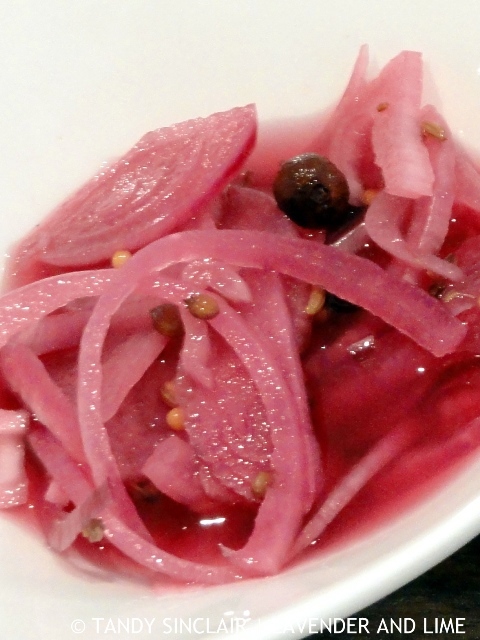 Pickled Red Onions are not Dave’s favourite. 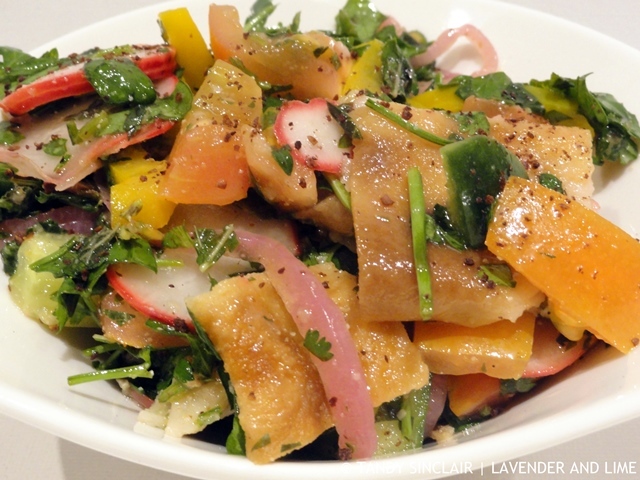 I made them for a fattoush salad and only added them to my portion. Are you a fan? And if not, why? After many years of being a chronic insomniac I have finally taught myself to sleep. Part of my routine is going to bed at a similar time every night. I am not rigorous about it being exactly the same time. But, when I started on this plan I made sure it was 21h30 for a good month or so. Now we go upstairs anytime after 21h00 and before 22h30. I read before turning the light out, hold hands with Dave for a bit and go to sleep. The second step in learning to sleep is waking up at the same time. During the week the alarm goes off at 5h45. Sometimes I am awake before that, and on weekends I might sleep an extra 30 minutes. However, when we fly I take a sleeping tablet. It is just not worth the risk of not sleeping. The one I usually take gives me 6 hours of sleep. But, our flight on Friday night is 7.5 hours. Factoring in the time between take off and going to sleep. And waking up in time for breakfast and to land, I don’t have 6 hours. So I have a new 3 hour sleeping tablet. I am reluctant to try a new tablet for the first time on the flight. My plan has been to use one on a night I cannot sleep. But I have trained myself so well that I am now in a pickle. Do I just take one even though I am not battling to sleep? Or do I just wait until Friday night? Needless to say, I am hoping I have no side effects from the tablet. Dave and I are heading to Sicily and Southern Italy for a well-deserved break. I am surprised that you flight is so short. When we go to Europe we always have to go via UK so it is much longer than 7.5 hours. Good luck with your sleeping. I prefer to fly direct but to Rome it’s two short flights or a long one from Johannesburg. Thanks Robbie. I hope I sleep a little bit tomorrow night. Sicily is on my bucket list, I can’t wait to hear about your trip. I love pickled onions and I will try your recipe. I love anything pickled. My Dave does not, as he hates vinegar. More pickles for me! Good luck with sleeping. Many years ago I just forced myself to become a good sleeper, and it’s wonderful. Sicily!! How exciting and how cute that you hold hands before you fall asleep!